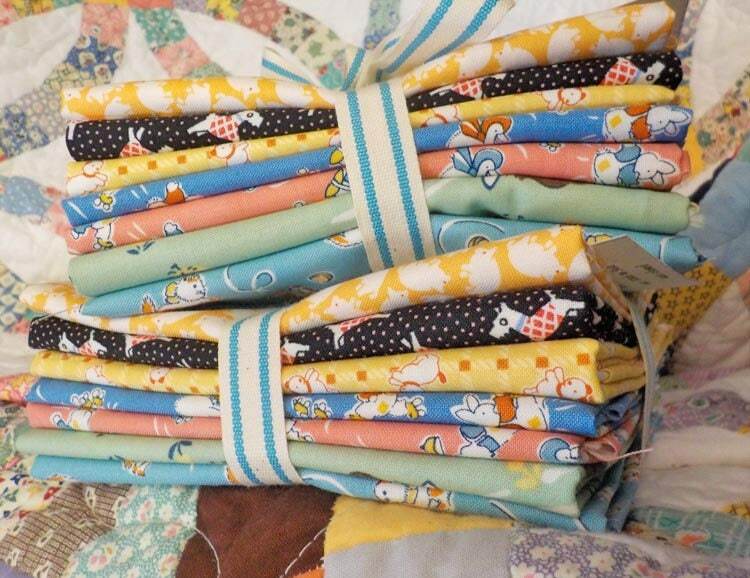 This happy collection of 7 fat quarters is the perfect jumping off point for any baby quilt. The prints include: pigs, scotty dogs, children, bunnies, kittens, puppies, and ducks on roller skates. 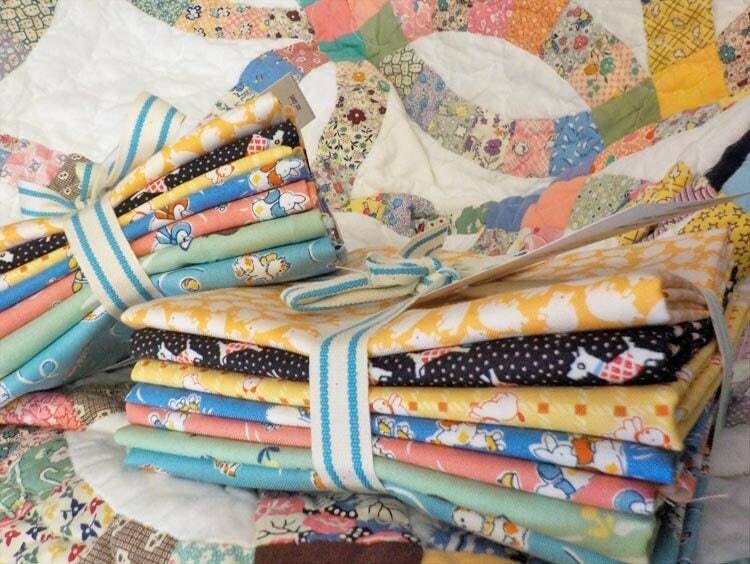 The perfect prints for a fun Grandmother's Flower Garden, Farm Girl Vintage, or 30's Farmer's Wife...or if you prefer few pieces...a classic 9-patch is always a wise choice! you cant go wrong with these adorable prints!